A young girl accidentally awakens a guardian spirit sealed within a sword. Together they will face many challenges in order to complete a mysterious mission given by the gods. They meet other summoners and spirits, face demons, and details about their past lives are revealed. One day we will miss the good black and white manga… sigh. 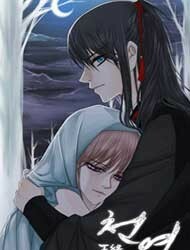 I LOVE THIS MANHWA!!!! Can’t wait to see what happens next. My imagination is just killing me!! !